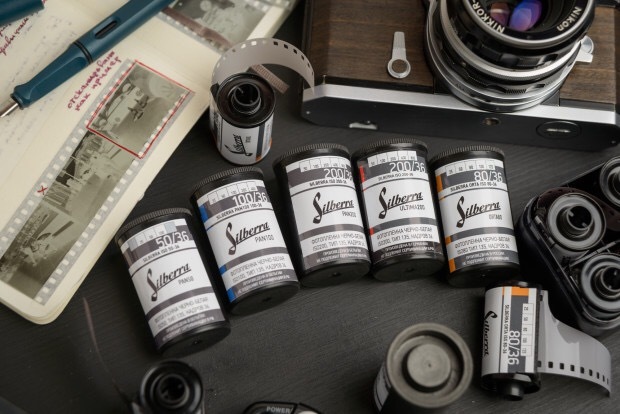 Silberra, a Russian film producer, has announced a raft of new emulsions. The range includes four new film types and at least eight new films. The black-and-white films include a series of tweaked Agfa panchromatic film stocks available in a range of ISOs: 50, 100, 160 and a limited-edition 200. These will be released as the Silberra PAN range. The list also includes three fine-grained orthochromatic films in ISO 25, 50 and 80. The range was announced in an interview with film blog EMULSIVE. Silberra is trying to fund the films through the crowd-funding website Indiegogo, and is trying to raise $115,000 in a month. The Indiegogo products range from a pair of films for $15 up to a limited-edition box containing everything announced so far costing $250. In an interview with EMULSIVE, Silberra founders Vladimir Vishnevski and Konstantin Shabanov, said the company was founded this year, but the pair’s partnership goes back half-a-decade. “Over the past few years, we’ve been working with a producer of commercial chemical photography materials – materials not aimed for use by “normal” photographers,” they said. The company’s founders outlined their plans in further detail on the film’s Indiegogo page. “We need to start mass market manufacturing of Silberra film to make it available worldwide. 4) To run 120 Type manufacturing for all the films we need either to contract third-party manufacturing line or to create small semi-automated manufacturing line of our own. Silberra’s raft of new films will come as good news to film photographers in Russia and nearby. For some time, the only major film producer has been Tasma, based in the city of Kazan. Svema, the biggest producer of photographic film in the Soviet Union, closed down production in the early 2000s.